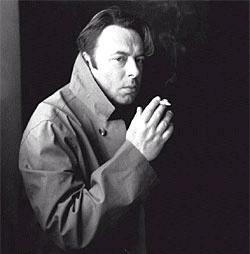 Update: We will miss Christopher Hitchens, that is for sure. 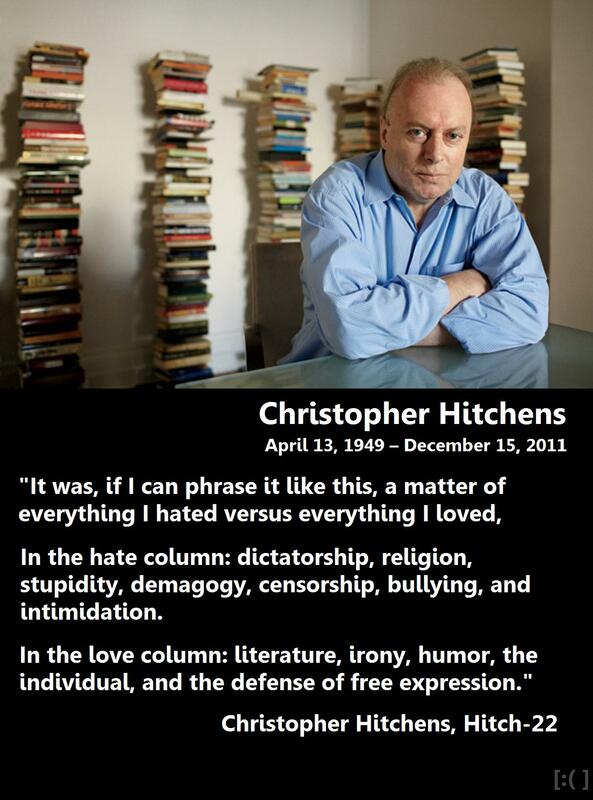 This entry was posted on April 23, 2011 at 3:57 am	and is filed under Christopher Hitchens, Damn it!, Get some perspective people, Humbled by Nature, Ignorance to Knowledge, Philosophy, Quotations, Rational Thinking, Science over Propaganada, Something to think about, The End is Nigh, Wait for it!, Yikes!, Yikes! The sky really is falling!. You can follow any responses to this entry through the RSS 2.0 feed. You can leave a response, or trackback from your own site. Wonderfully written. Will science, “the ironic mind”, the atheist movement, be enough to rescue our world’s future from the insanity of global religious conflict? I wouldn’t be surprised if, at some future time, when they’ve wiped out one side or the other, the religious victors then start to blame Atheism for the world being a bad place, and they begin burning heretics again. Sadly it’s highly likely that “advanced medical science” (chemo and radiation) may have killed him.